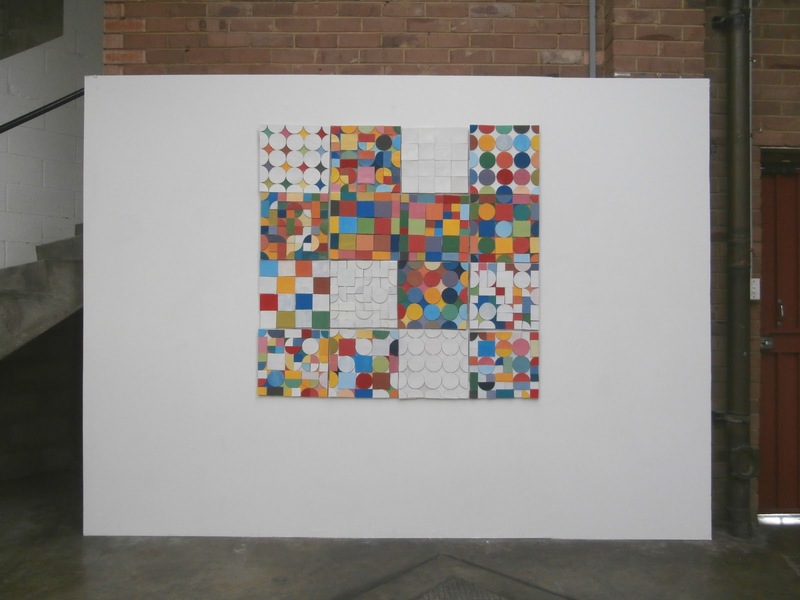 'Only Just Begun' was a solo exhibition at Factory 49 of paintings and paper and cardboard works. 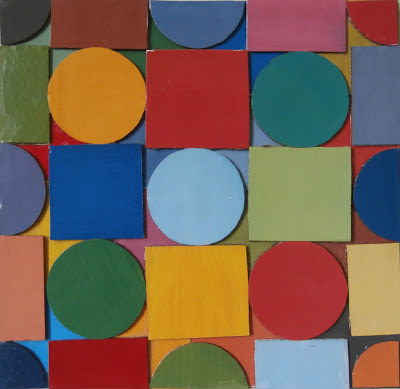 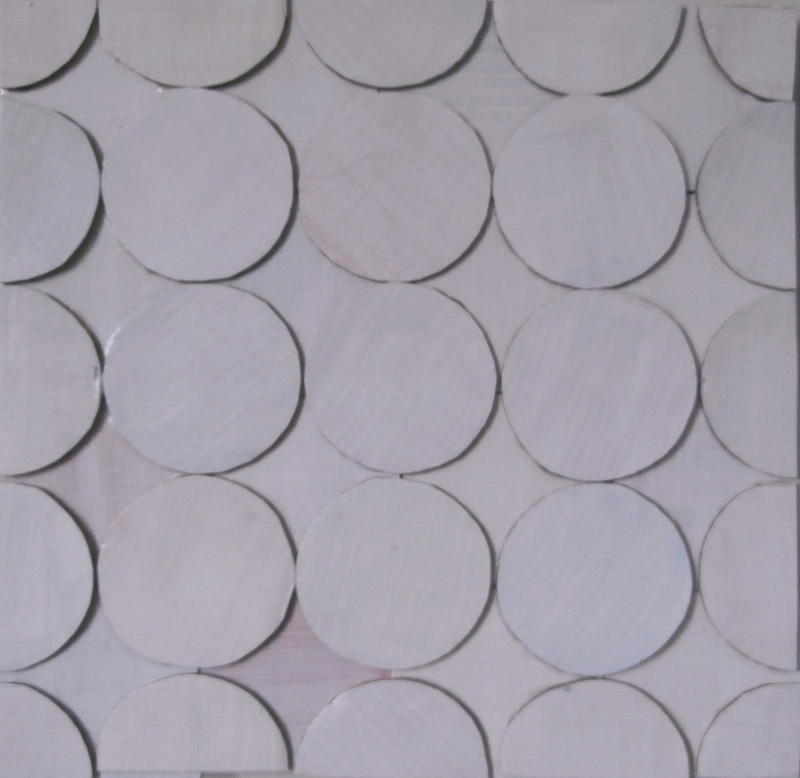 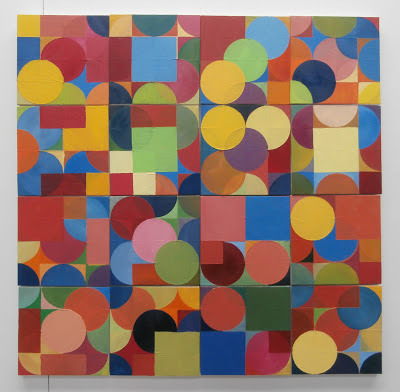 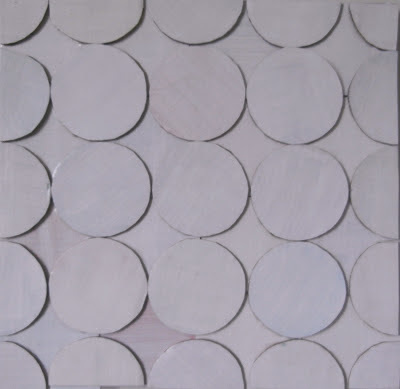 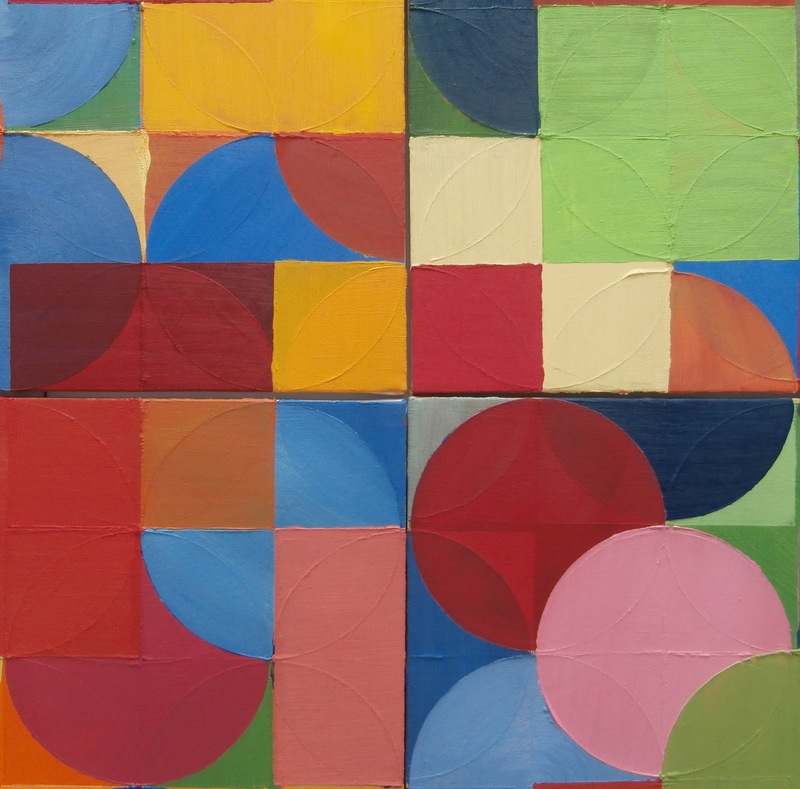 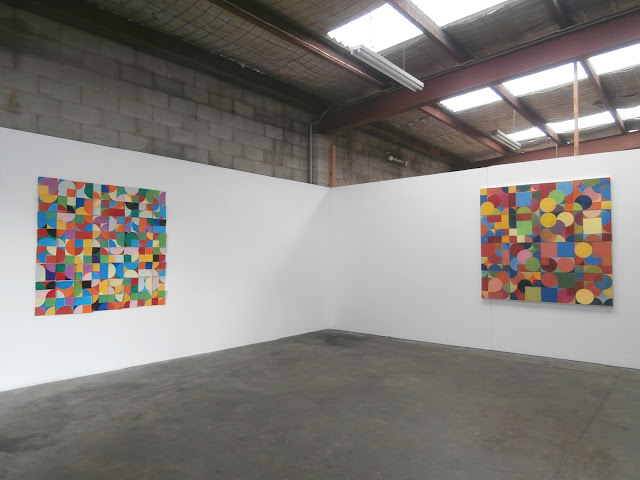 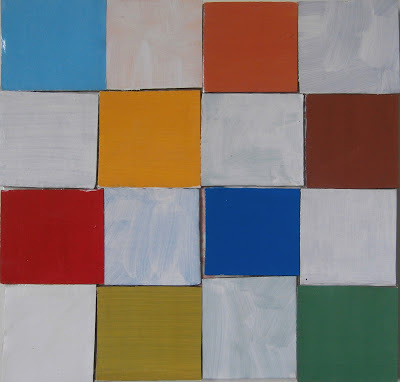 All of the works were derived from my paintings of squares and circles that I have been calling 'One & the Same'. 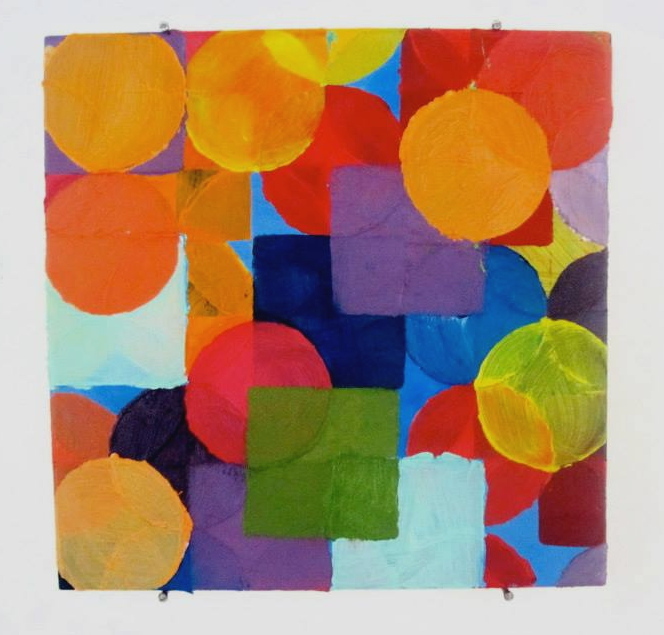 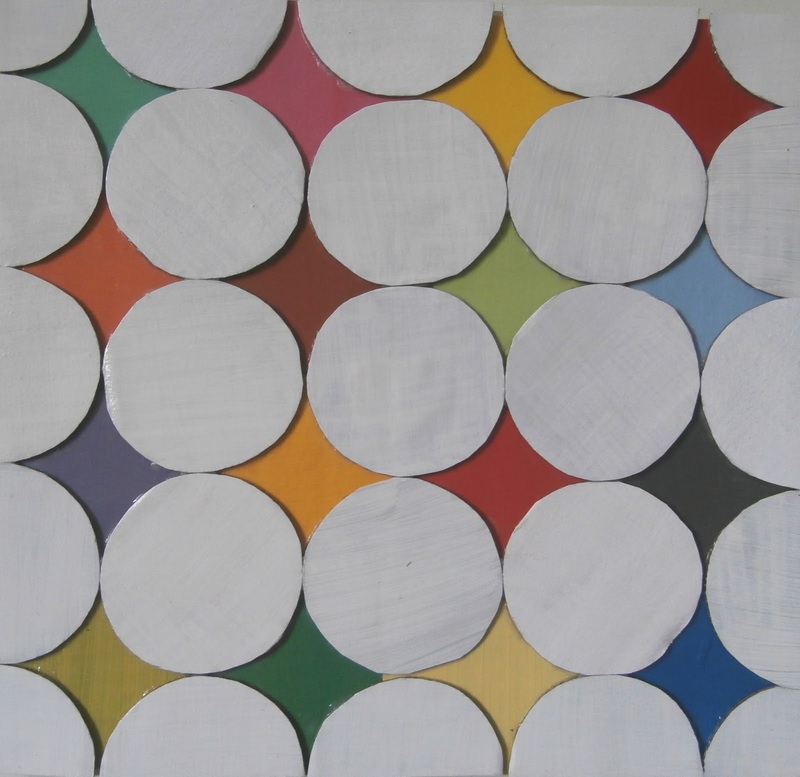 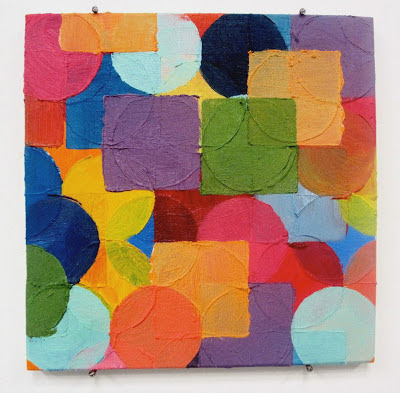 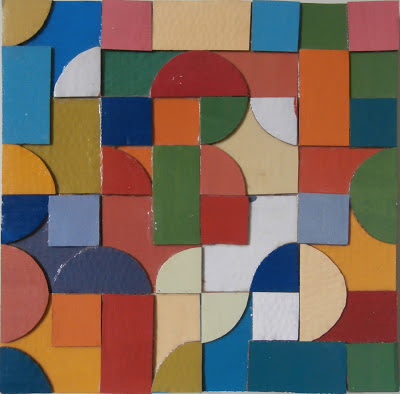 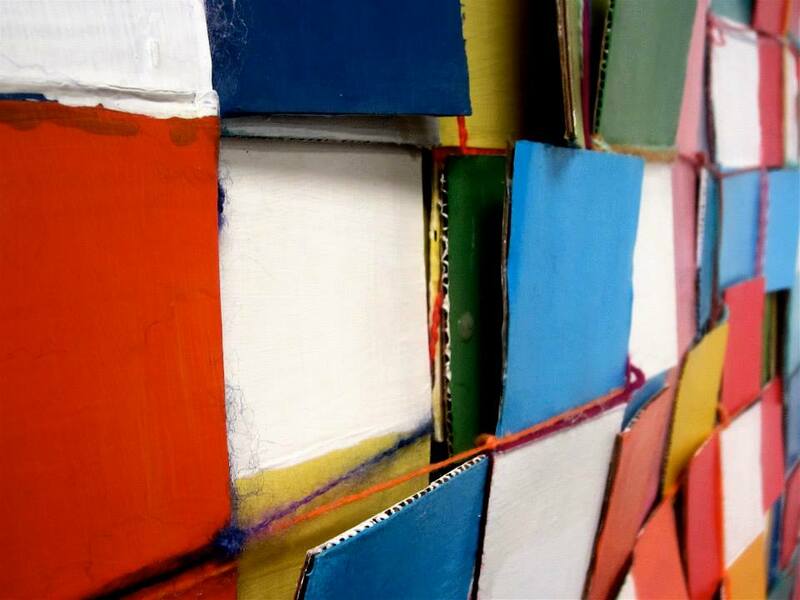 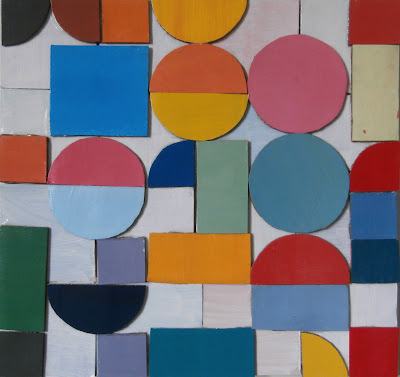 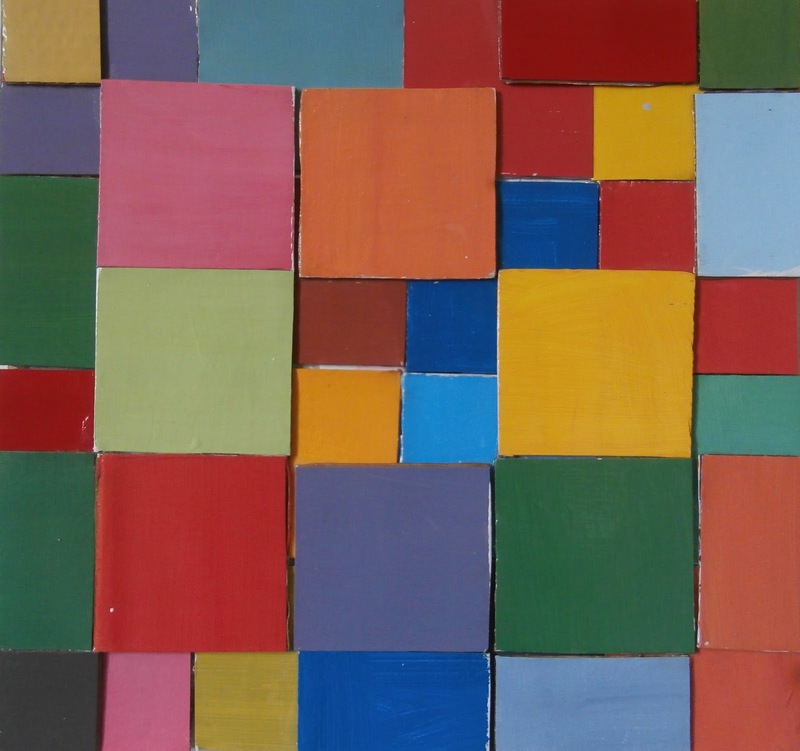 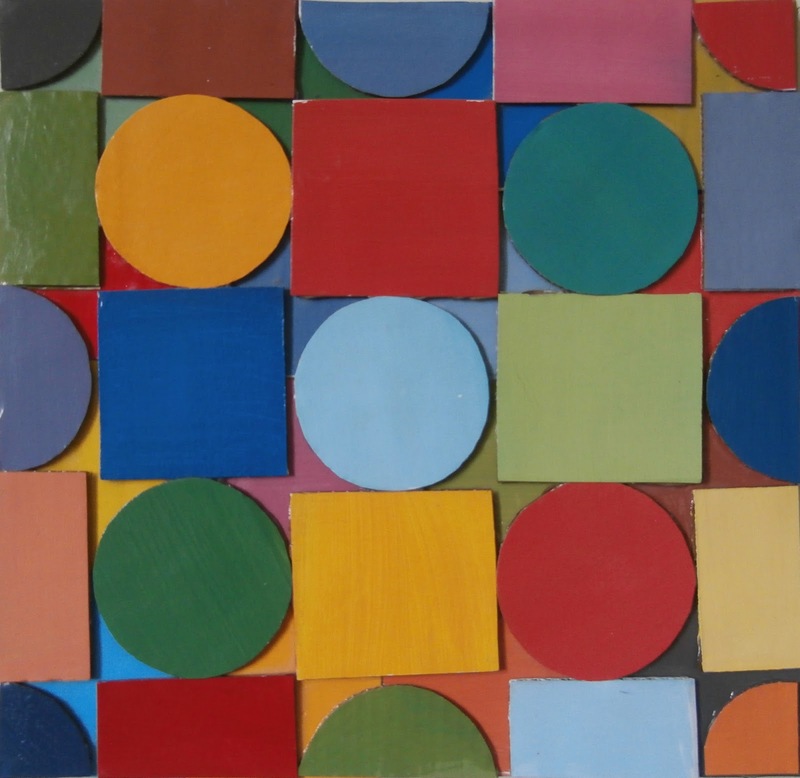 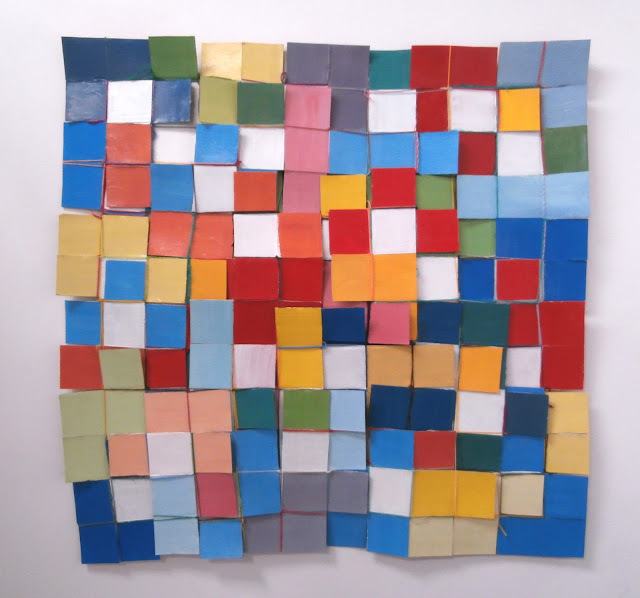 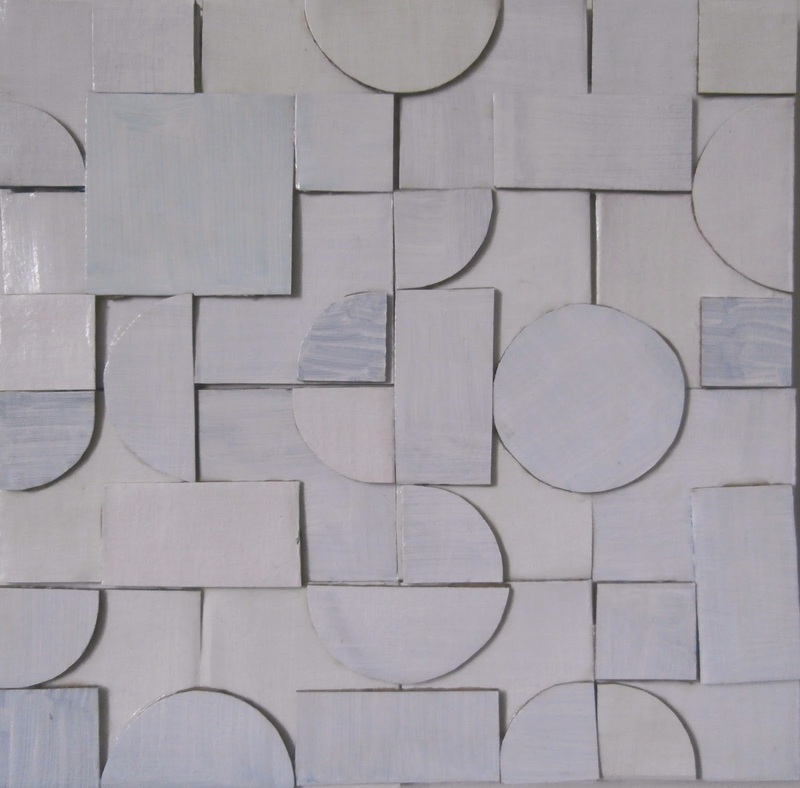 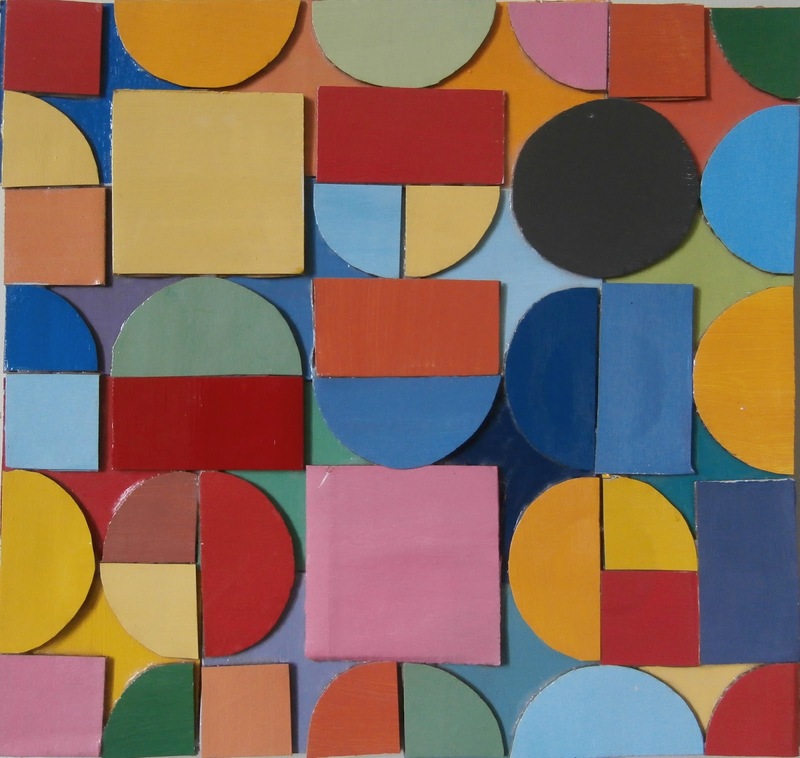 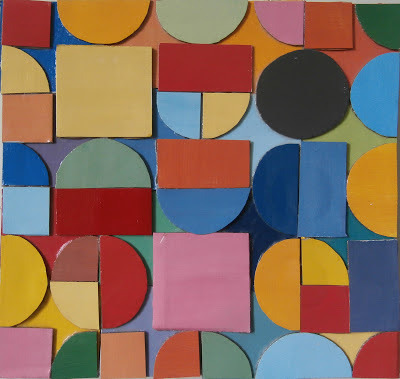 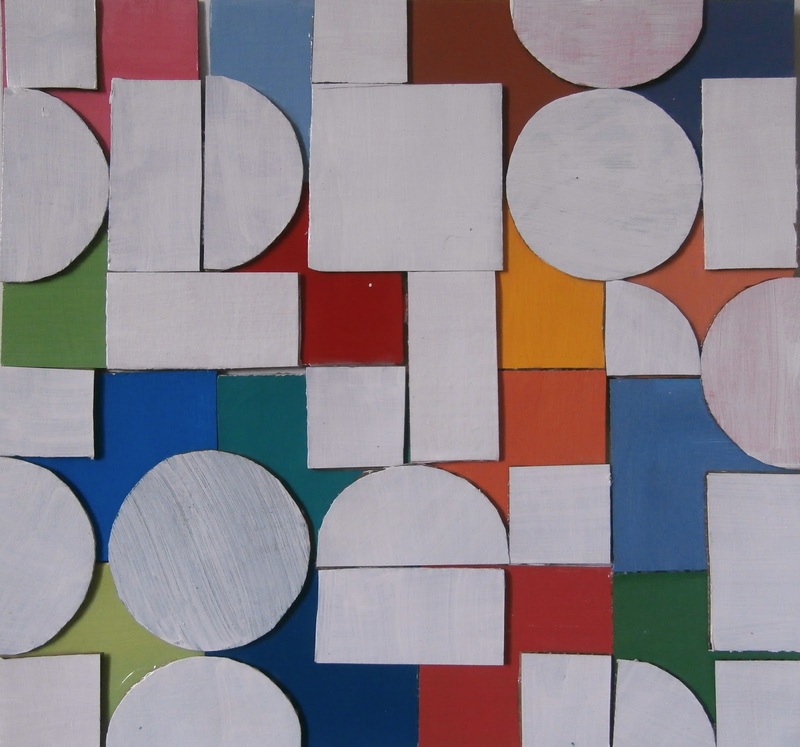 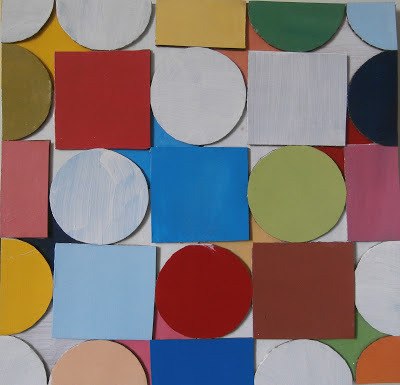 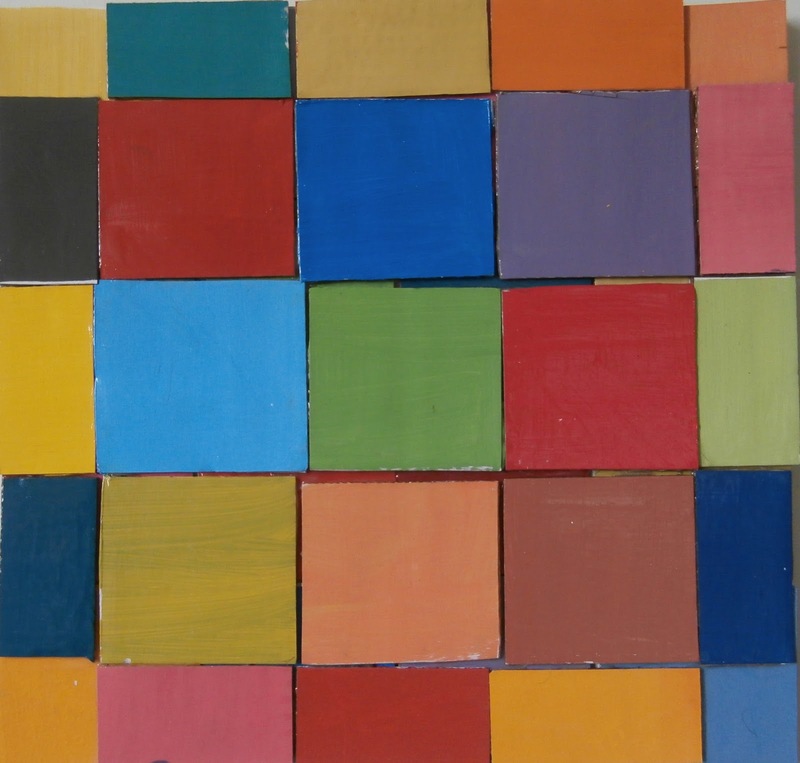 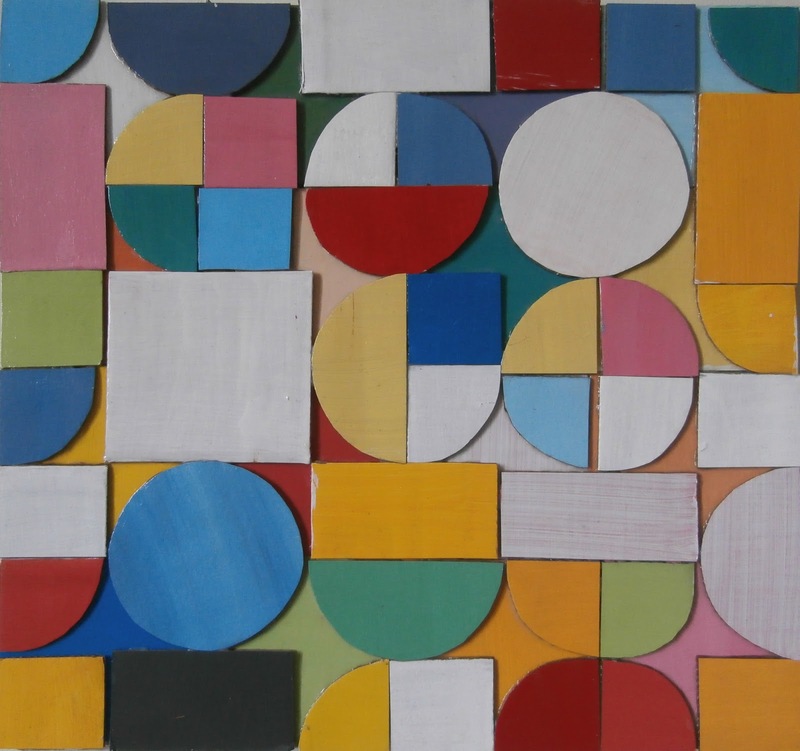 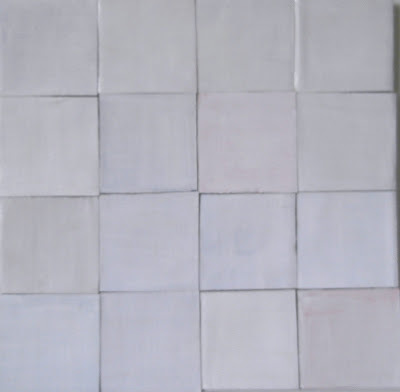 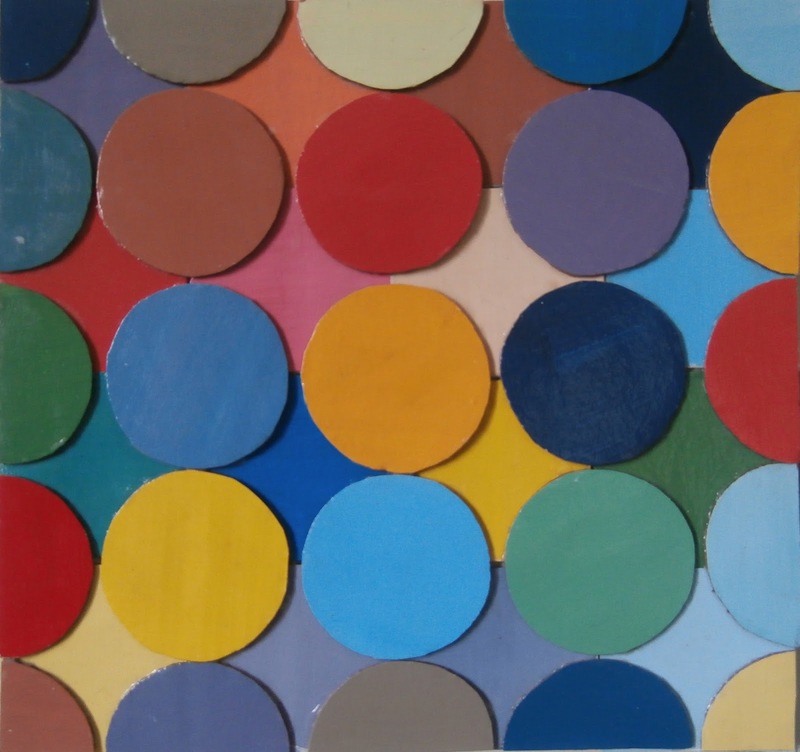 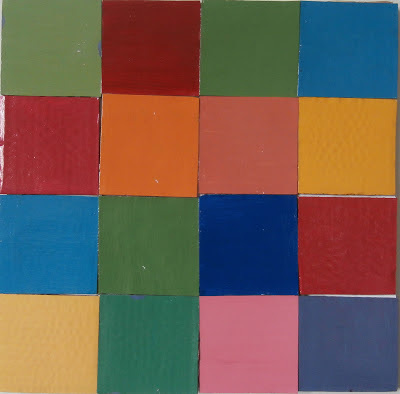 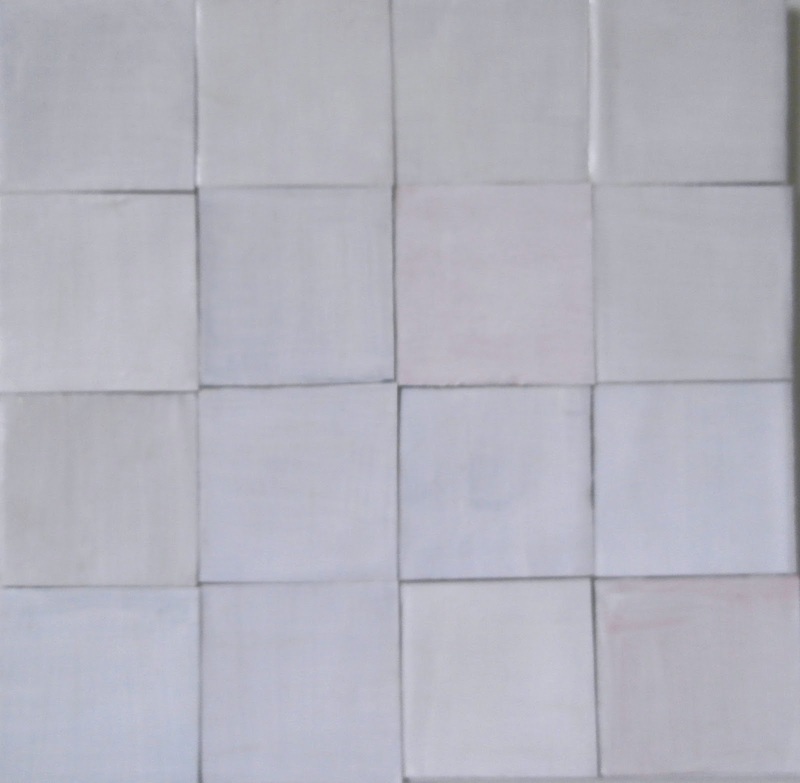 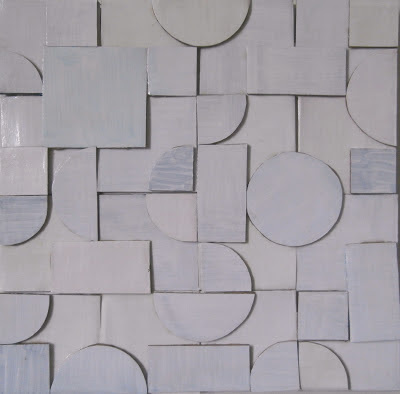 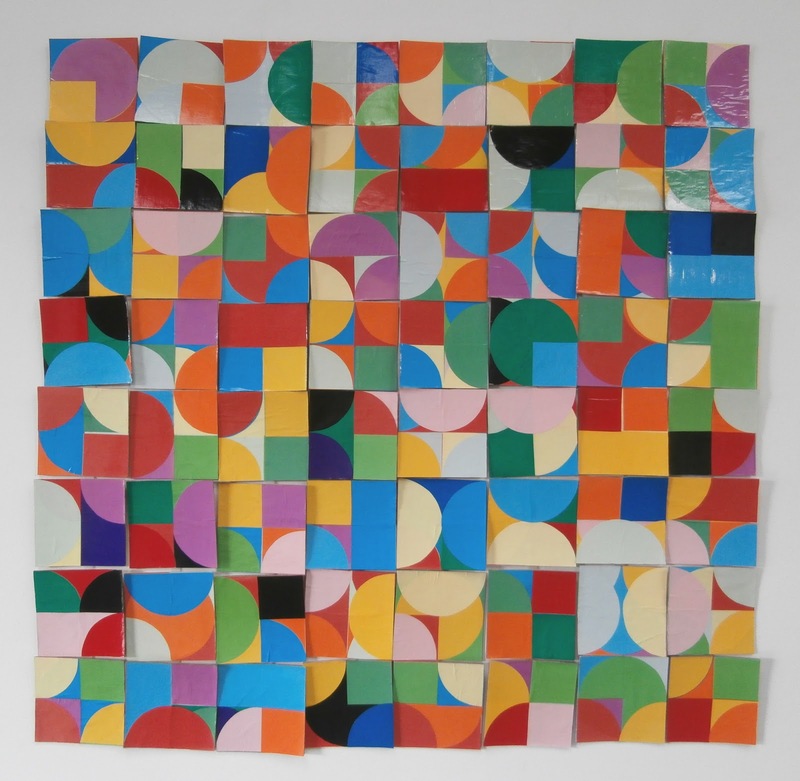 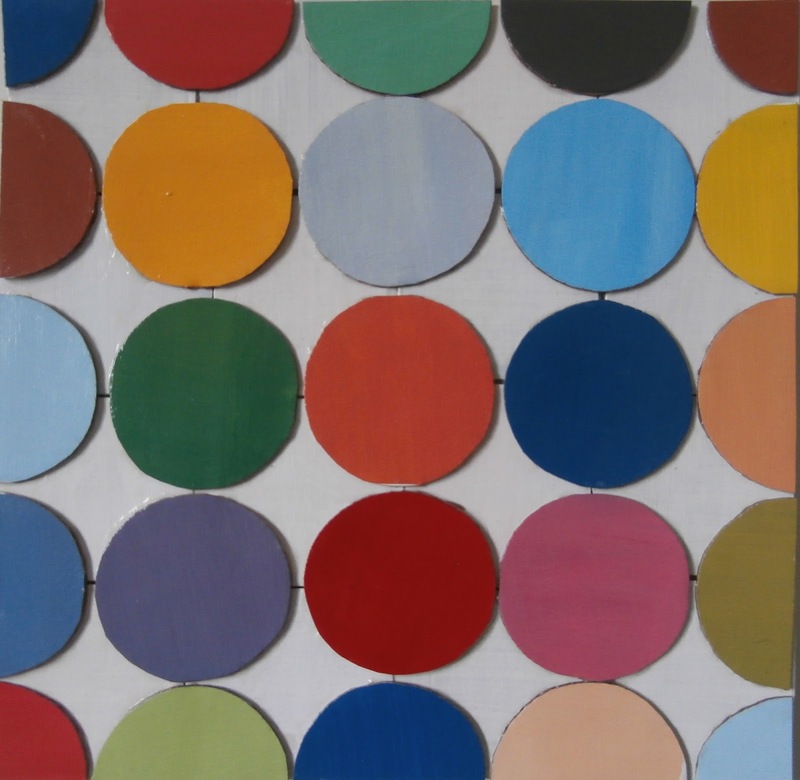 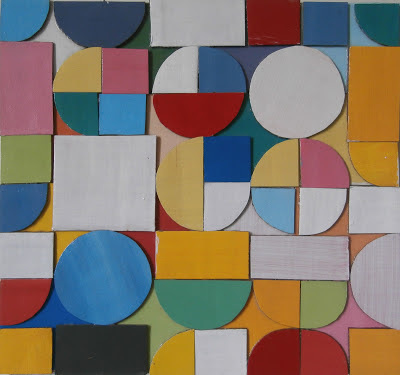 The painting consisted of 16 panels on which the small square and circle motifs were enlarged and broken up over separate canvas; the paper work did the same thing, but was constructed from cut out coloured pieces of paper, and the cardboard works played with a range of possibilities using shape and colour. 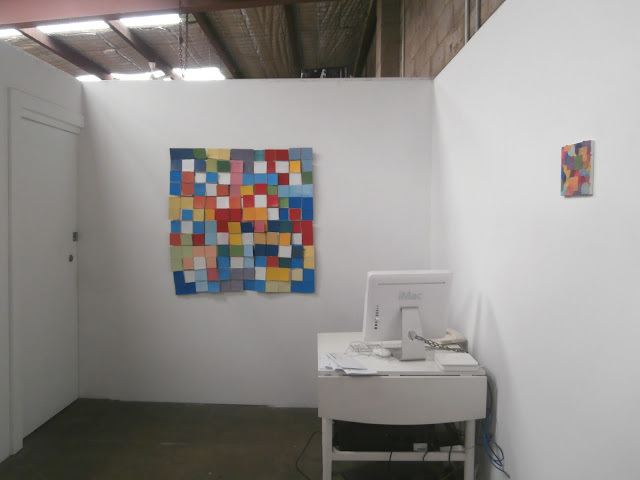 Below are separate photos of the 17 'Cardboard Construction' (each 35cm x 35cm) - 16 were hung in a grid in the main space, with one hung on its own in the office project space.